I'll be perfectly honest with you, I wrote my last blog post quite late on Thursday evening, hit 'publish' and went to bed. I then had a terrible night's sleep - I kept waking up with a thumping heart, wondering if I'd done the right thing by being quite so candid about something so personal. I came extremely close to getting up and deleting it, I can tell you. However, your responses moved me more than I can say. I could bear hug each and every one of you who shared your own experiences and/or sent well wishes. If by telling my own story, I've encouraged just one person to seek help, then I couldn't be more glad. Between us, I hope we can fight the stigma that still surrounds mental illness. It would seem that I have a bit of a 'thing' for crocheted scarves at the moment. They're so rewarding to make. They take a fraction of the time and yarn it takes to make a blanket, there's no limit to how creative you can be and you can proudly drape the end result cosily around your neck, biding your time until some generous soul compliments you on it, and proudly (and loudly) proclaim that you 'made it yourself'. Frankly, I'm thinking along the lines of a scarf for every outfit! My mind is buzzing with ideas and you creative lot don't help! 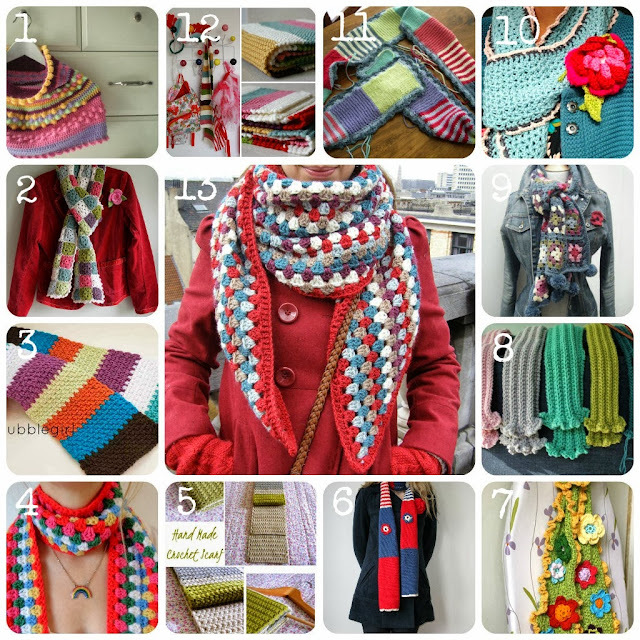 I have two of my own scarves on the go at present (a pretty pink and cream striped affair and a soft sage green scarf/shawl thingy which I'm not terribly sure about) but I thought I'd share just a few of my current colourful favourites floating around Blogland. Some are knitted, some are crocheted. All are just my cup of tea! Are you sharing my love affair with scarves? Oh, that said, I wore my own Fruity Scarf on Saturday when we went into town for some lunch and a browse around the shops. On the way back to the car, the heavens opened and we got drenched. Have you ever smelt wool when it's wet? Ugh! It wasn't unlike having a smelly, soggy dog wrapped around my neck. 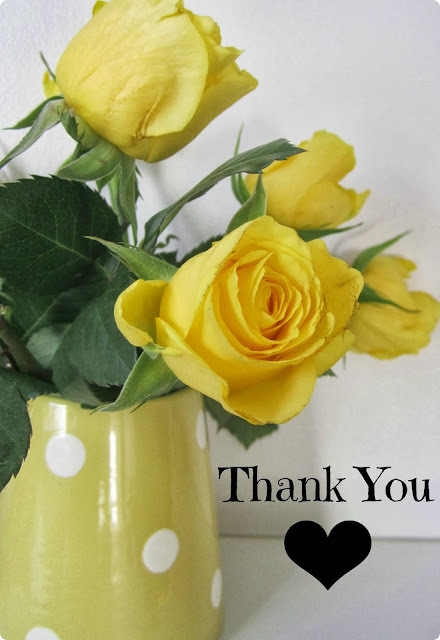 Hi Heather, Another lovely post, I am so glad you got lots of positives from your previous post. I have suffered from OCD for more than 20 years and like you only a handful of people have ever known that I do. I have had a particularly bad time recently and my one escape at times is my sewing room. I love the feeling on a lovely sunny day to shut myself in my room and create something beautiful. I have been teaching myself to crochet and I love it I've got so many images saved that I can't wait to make. I wish I could think of a way in which we could turn this into something really positive and find a way to use our crafting skills to help one another and other people with similar problems. I just liked the way today you thanked everyone for there responses but then in the same post spoke so lovingly about your scarfs. I think you were very brave and I thank you for telling us your story. I'll get my thinking cap on also I'm sure we can come up with something. I'm not sure whether you'll believe this or not Heather, but after I read your candid post on depression I did wonder whether you would have a sleepless night about it. I'm not sure how to word this properly but as I read your story it did cross my mind how terribly anxiety inducing this could be for you, putting it all out there, laying yourself bare, and I pondered whether you may have an urge to remove it. I'm so glad you didn't, as I knew you would receive nothing but support for your bravery and honesty. I don't know you personally but felt really proud of you for making yourself vulnerable like that, something few people would dare do. I'd say you've made more of difference than you'll ever know. Without a doubt crochet is therapy for the soul - I have some next to my desk at work for those stressful moments and it works everytime. 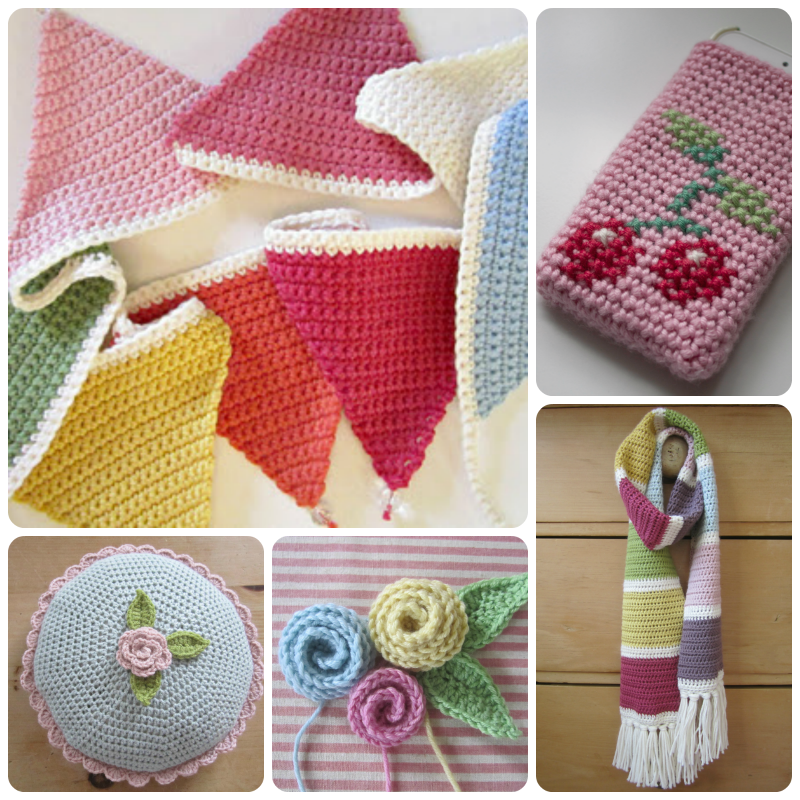 Adore ALL your scarf pictures - you're as bad as me with my dishcloth obsession. I think you were extremely brave with your last post and I really admire you for that....the response you've had is incredible and just goes to show that you're not alone. I'm totally with you and your admiration for crochet....I am starting to crochet myself, something I've been wanting to do for ages, and my friend's mother-in-law is teaching us all she knows :) So exciting! I'm glad you felt able to share and keep the last post. Just looking at those images, I realise I'm hideously underscarved and daren't show my face in public until it's partially swathed by something that has that beautifully jaunty handmade look about it. Number 6 really appeals. 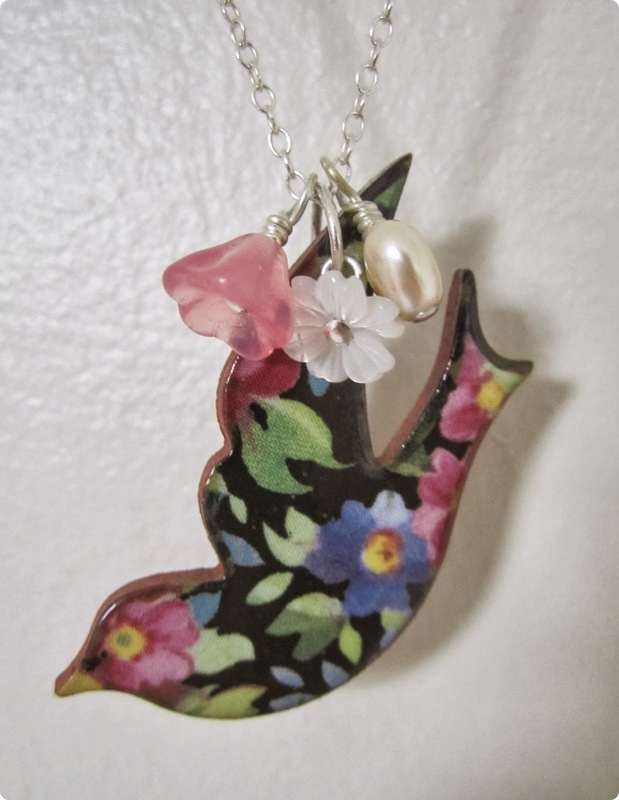 Thank you so much for including my scarves in your mosaic! I am so pleased and flattered, really, thank you. I really like all the other scarves in your mosaic too and I think I have some sort of obsession going on too as I currently have another two scarves on the go! I have just read your previous post, such an honest and touching post and very brave of you to share. I shared your last post with a few people who needed to read your words. I'm going to share this one with my daughters who have both been complaining that they're cold, only snag is, they'll probably expect me to knit their scarves for them! I love your inspirational collage of scarves! I have #13 saved on Ravelry as a fave and I've been meaning to do it but just never seem to get round to it.